Rocks, rocks rocks, can never get enough rocks!! 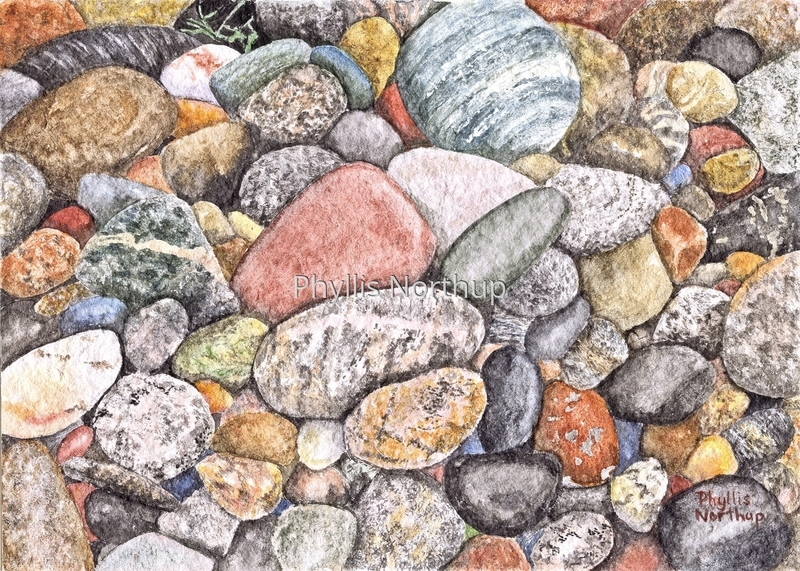 This painting is pure celebration of rocks and the rich variety of colors, textures, shapes and sizes! Original is sold, prints are available! !